Stromtrooper Forum : Suzuki V-Strom Motorcycle Forums > Popular Forums > DL650A - 2017+ > Changing headlight bulb? Anybody changed one? Any tips on removing that top bulb? Just looking at the placement of the globes and owning a Taxi for many years with similar setup its not that difficult, be aware don't touch the actual globes as grease of your fingers will cause them to fail prematurely. Looks like you have an older model. 2017 is different. If its similar to the V2 then you need to remove the instrument panel, 2 screws and 2 push rivets. Then carefully pry them apart. They are held by plastic clips along the top. Then disconnect the instrument connector and the electrical outlet connector. Then it's obvious and right in front of you. You have to pull the panel, which takes a couple more steps. Not hard. Before you remove the dashboard, you need to remove the trims that are attached to the dashboard. More screws and more small pieces to remove! I just did this. 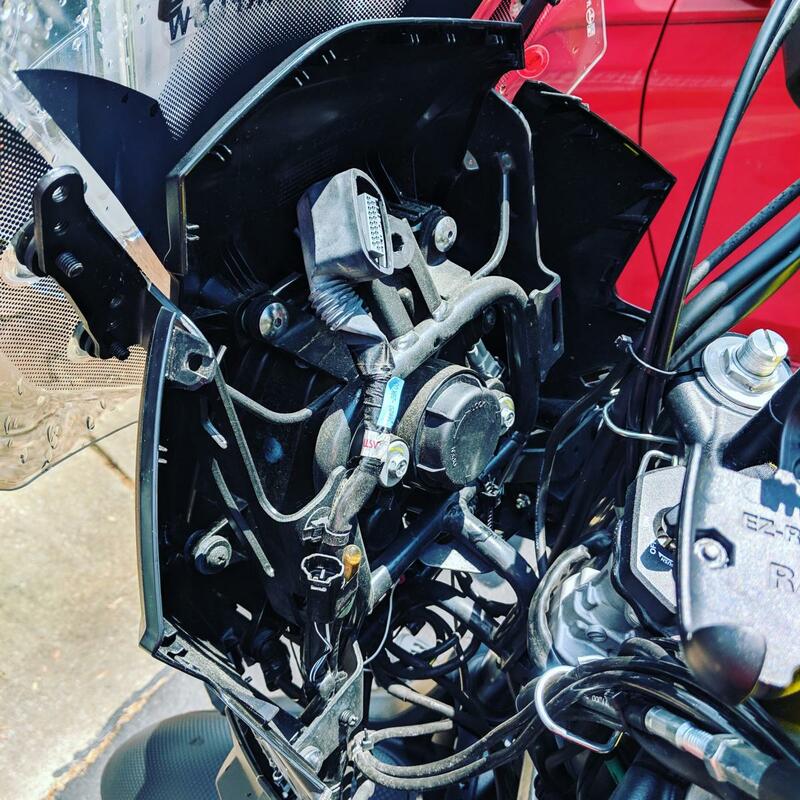 you have to remove the 2 colored panels that join to form the "beak".. Look at Dr. Vstrom's video on how to remove the fuel tank on Gen 3 Vstrom 650. Once you remove the 4 fasteners on the under side of the beak panels, you have to slide them forward to detach them, then you can remove the plastic pop rivets around the instrument panel, then you remove the instrument panel to access the H7 low beam bulb. I replaced mine with an LED bulb so hopefully, I won't have to do this again. It's not hard to do, but not as easy as replacing the H9 high beam bulb. When you put it back together make sure that the rubber cover over the instrument plug is securely covering and sealing that plug against water ingress.